More people have died or suffered from an injury in mass shootings in the United States in the past 18 years than in the entire 20th century. The death toll of all mass shootings across the nation has reached an alarming total of 1,102 men, women, and children, according to The Washington Post. These victims come from almost every demographic and of those who survived, thousands were left with devastating injuries and psychological scars. School shootings have been steadily increasing since 1979, putting, children, teachers and staff at risk. 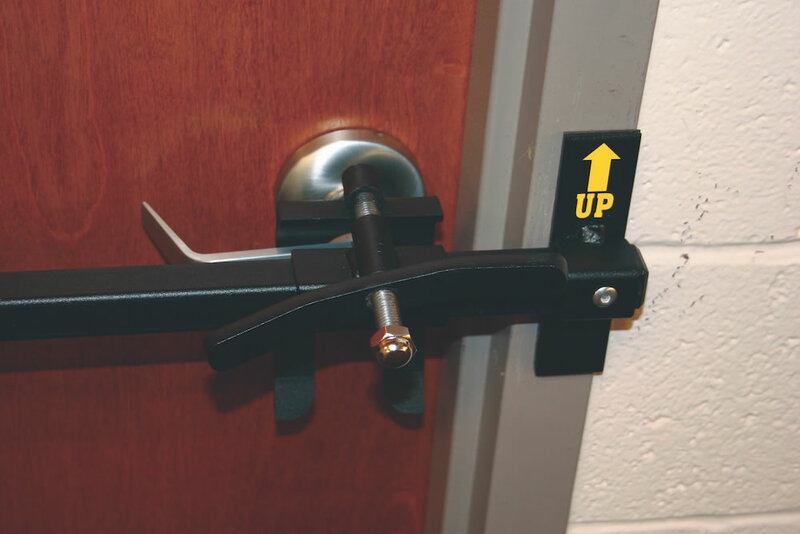 In the wake of escalating threats over the past few years, many school districts, education administrators, communities, and students have sought out a popular device designed to defend against intruders, The Barracuda, to secure their classrooms. 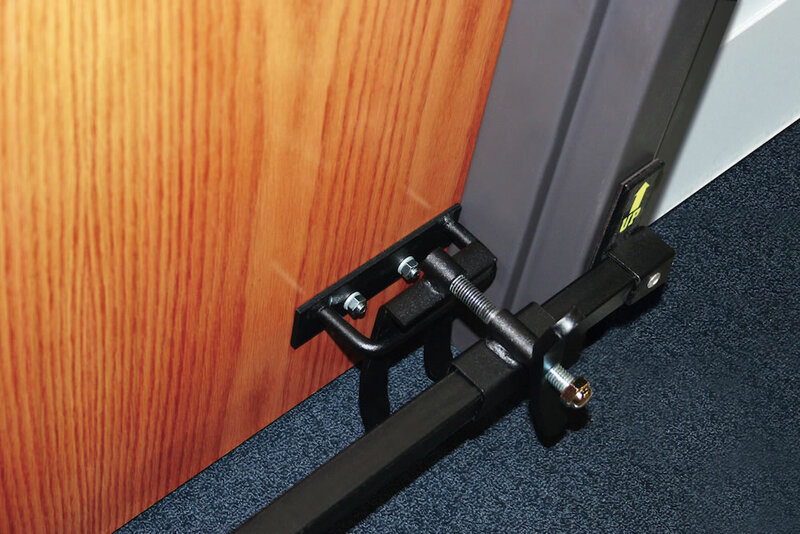 Lowe designed The Barracuda in 2013, and it provides effective protection from an intruder by locking doors and preventing access to classrooms or offices. The product is manufactured by The BILCO Company of Connecticut and its goal is to slow down and hinder attackers, allowing time for people to escape or have law enforcement intervene. Combined with an effective Emergency Operations Plan, The Barracuda can increase survivability. The Barracuda can be installed in approximately 10 seconds or less. School officials, districts, and even students are looking to purchase The Barracuda through donations and fundraisers. Superintendent Roger Cook of Taylor County, Kentucky took to social media in his community to purchase The Barracuda for all 254 rooms in his school district. Within 24 hours of Cook’s Facebook post, parents, businesses, and other organizations donated money to the district’s cause, ultimately contributing enough money to put The Barracuda in every room. In Dennison, Ohio, Kohlton Calvey, a fourth-grade student at Claymont Intermediate School, raised more than $2,000 from private donations and fundraisers to purchase The Barracuda for every room in his school. Melanie Smith Daigle, the parent of a student in Lincoln County, Mississippi, helped spearhead an effort to raise more than $5,000 to purchase 52 devices for one of the schools in the district. School districts are turning to The Barracuda because of their low cost (units start around $100), ease of use and quick installation. There are no wires, technology or sophisticated parts. “It’s designed bigger to compensate for the loss of fine motor skills in a time of very high stress. The Barracuda can be deployed utilizing only gross motor skills in a matter of seconds,’’ Lowe said. BILCO’s 2018 sales surged more than 400 percent in the first quarter compared to 2017. This rise in sales is linked with increased security concerns in the wake of an attack in Parkland, Florida, on February 14, 2018, in which 17 people were killed at Marjory Stoneman Douglas High School. “Now that parents and students are involved in conversation rather than just educators and first responders, the new conversation is likely to be ‘Where will we spend the money and on how many layers of security should we have, rather than should we spend the money,’’ said Jim Edgeworth, BILCO’s Director of Sales & Marketing of Residential Products. The Barracuda can be used on outward and inward swinging doors. The lightweight unit is made with heavy-duty steel construction and is supplied with a wall-mounting rack. As mass shooting incidents continue to escalate, The Barracuda will play a critical role in security at U.S. schools, businesses, churches and more.